Here I'd like to tell you another beautiful story of our Russian bride. 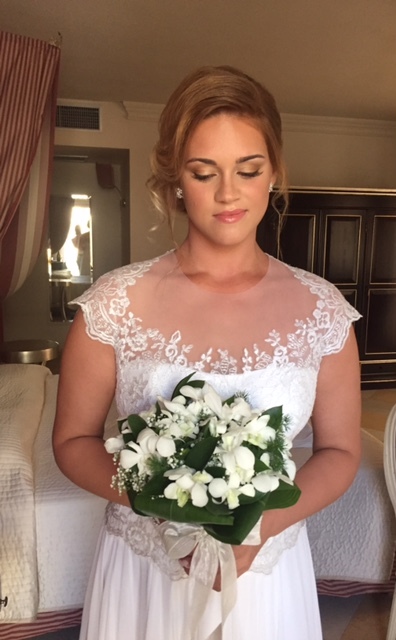 She got married on 30 August 2016 in Vieste, an amazing place on the seaside of Puglia. Puglia is an Italian region famous for its sea, beaches, fresh seafood and picturesque landscapes. Our Russian couple is from the northern part of Russia and they chose Puglia to be able to enjoy full summer with its hot sun and turquoise sea. 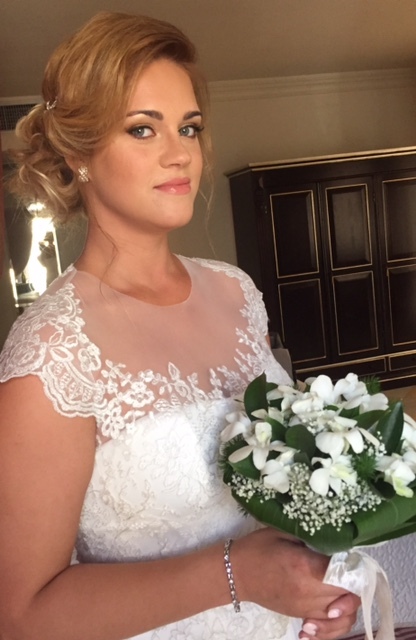 You can see our bride in the photos below: she has a very beautiful symmetric face and good skin, so I just had to work more with a foundation that gave her skin radiance and cancelled some redness. I used Skin Illusion by Clarins, then I covered some darkness under the eyes with mineralised concealer by Mac, fixed everything with Fix + by Mac and mineralised loose powder, that works miracles especially for photo shooting using natural light. 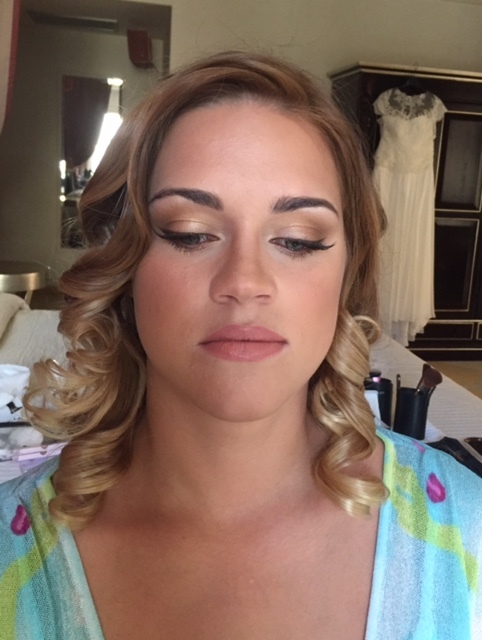 Then some contouring, blended very well, peachy-pinky shades blush and warm neutral colours as eyeshadows, adding a brown eyeliner in gel by Mac and some single false lashes for a slightly more dramatic effect. For the lips I used a lipstick by Mac, in the colour called “Angel”. 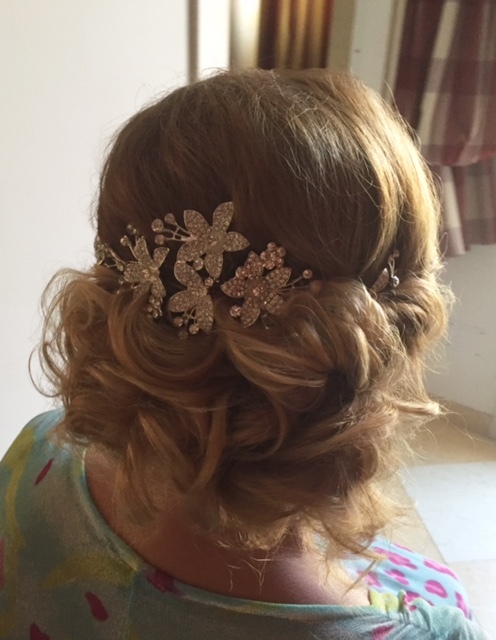 As for the hairstyle, the bride had a very beautiful and quite big hair accessory that suited well her wedding dress, so we decided to make a very soft and voluminous side updo. So here we are: she looks gorgeous, romantic, fresh and radiant!